Earn $16.80 in Rewards credit (1680 points) What's This? Based on the Daybreak Wind Jacket, the All Weather Vest obviously drops the sleeves, but brings several not-so-obvious updates as well. Other updates include reflective trim to keep you safe and a new colorway that calls to mind golden sunshine and spring day smiles. 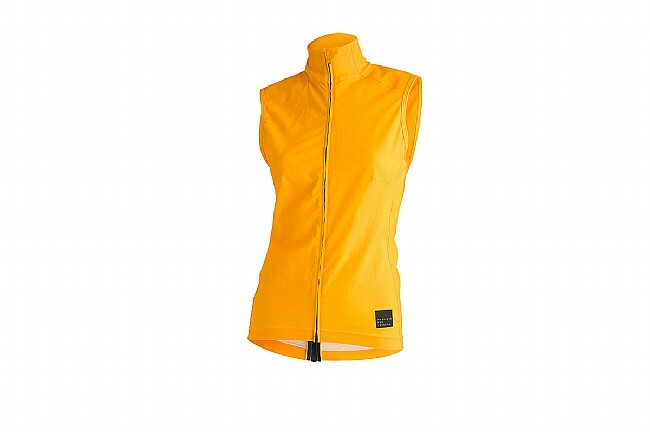 Just like the Galaxie Vest this piece features two extra large pockets, making it more than just a shell. It’s a true do-it-all piece, from protecting against unexpected showers to providing extra storage on unsupported century rides. All new vest made from the same fabric as the Daybreak Jacket, yet in a softer feel that shields from the rain. 4-way stretch for a figure-flattering fit that doesn't balloon in the wind. High collar for windchill protection. 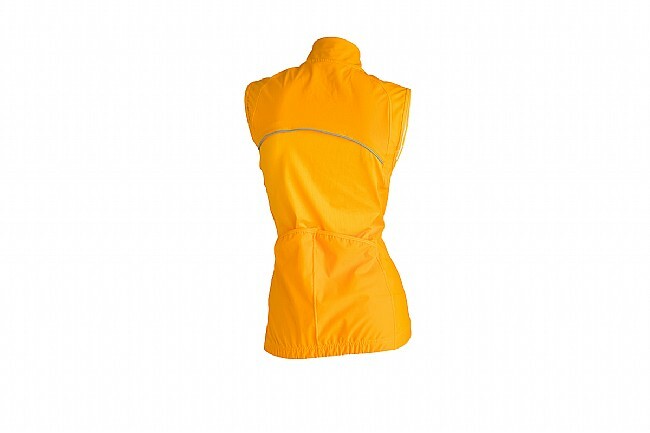 Bright colorway with reflective trim offers visibility without overwhelming the eye. Top quality auto-locking zipper for easy, secure fit.